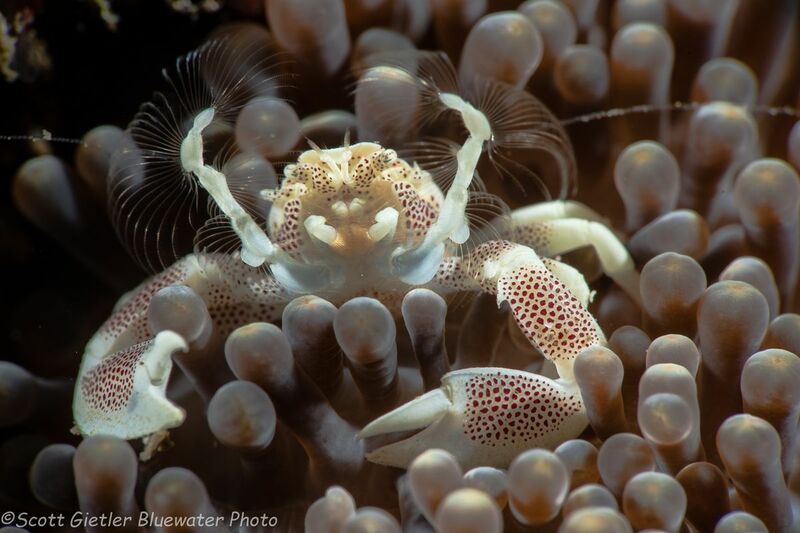 Join Bluewater Photo in December 2020 in Anilao for some amazing reef and critter diving. 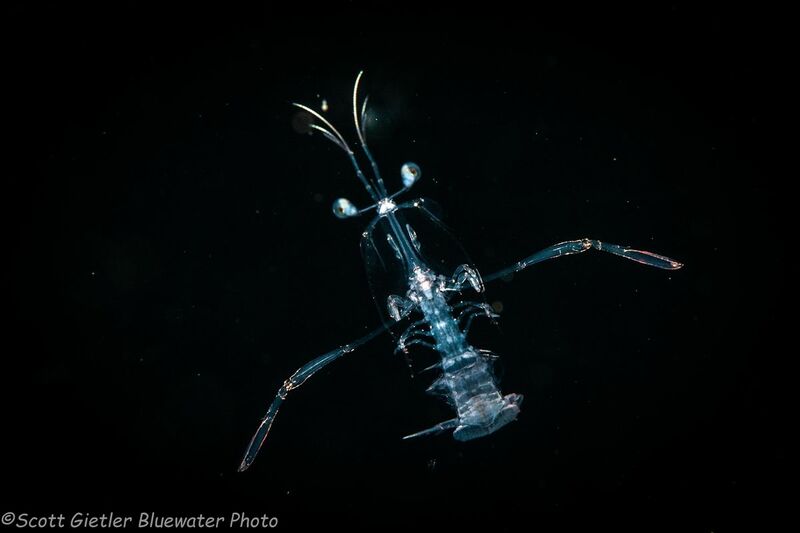 Considered by many to be the best macro diving in the world! Awesome testimonials, all listed below! Up to 4 dives a day, including night dives! Up to 4 dives a day, with no afternoon dives on the 7th day (December 12). 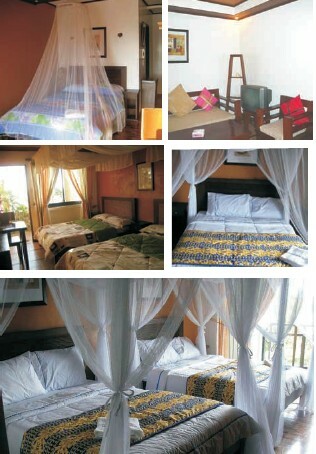 The resort also boasts 2 family rooms. 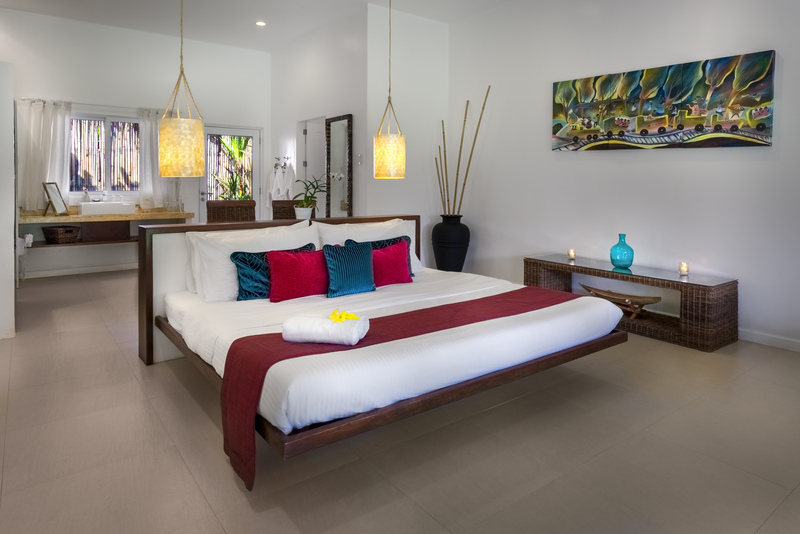 They are larger than the deluxe rooms and are located at the lowest level of the resort, closest to the restaurant and dive shop. The family rooms are available for an additional $250. 7 nights not enough? 10-night stays are available for $2,199 with up to 4 dives a day. Single rooms are available for $2,299 for the 7-day workshop and $2,849 for the 10-day. 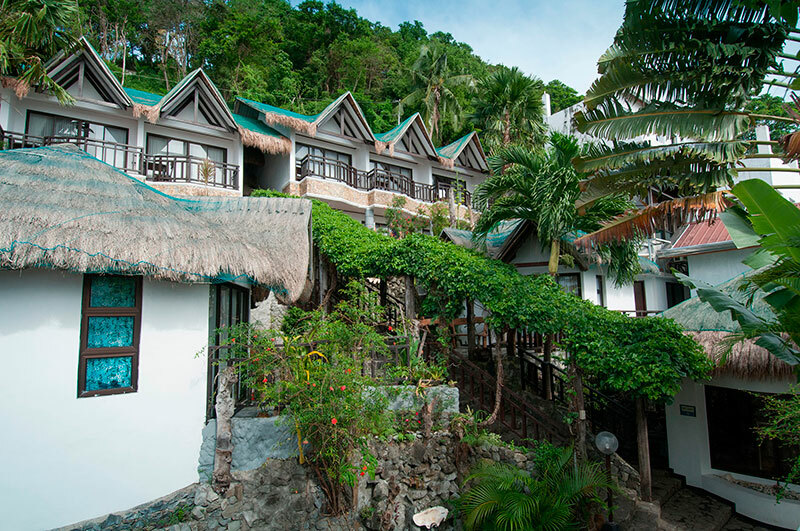 December is a great time to dive Anilao! Photographers with even the smallest point and shoot camera will feel very welcome here, and you will go home with some great shots! To get a little insight as to what the workshop is like, read the report from our December 2018 trip, here! 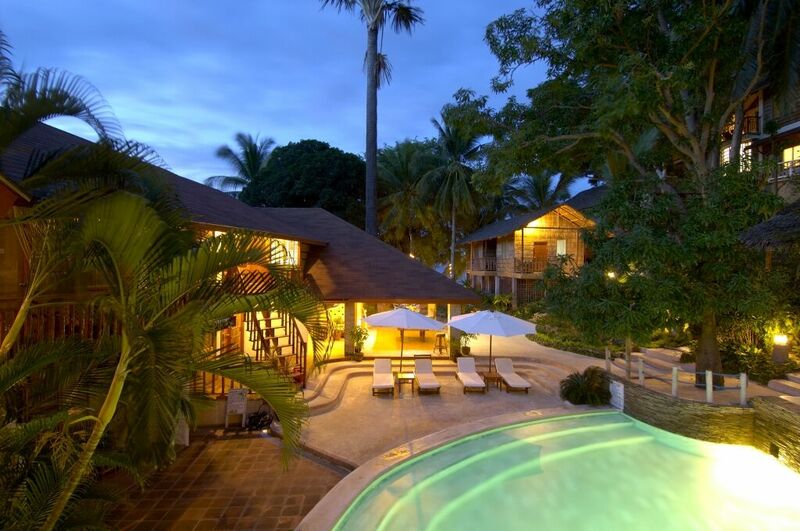 Anilao boasts some of the richest reefs in the world. Whether at 10ft or 100ft beneath the surface, you will be inundated with photo subjects that will fill up your memory card before the day is over. 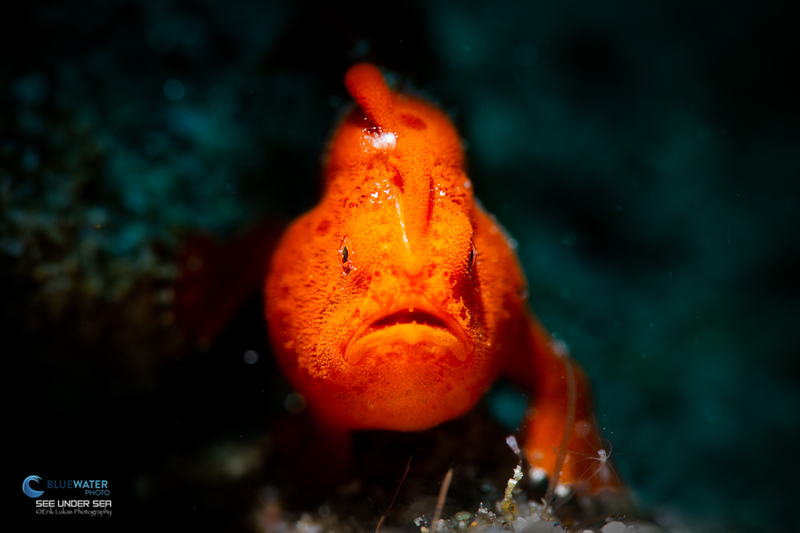 Almost all species on our critter list can be found in Anilao - such as Rhinopias, blue-ring octopus, hairy frogfish, pipefish, flamboyant cuttlefish & Bobbit worms. 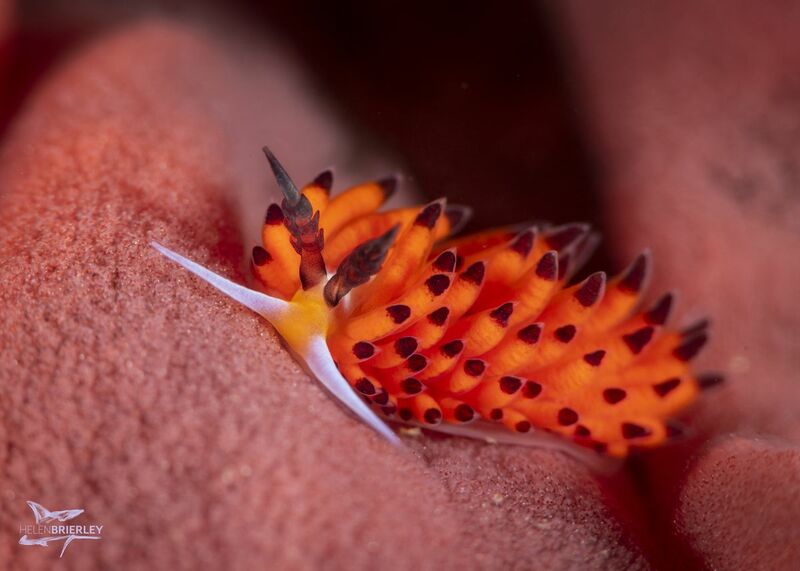 Anilao is also the nudibranch capital of the world! 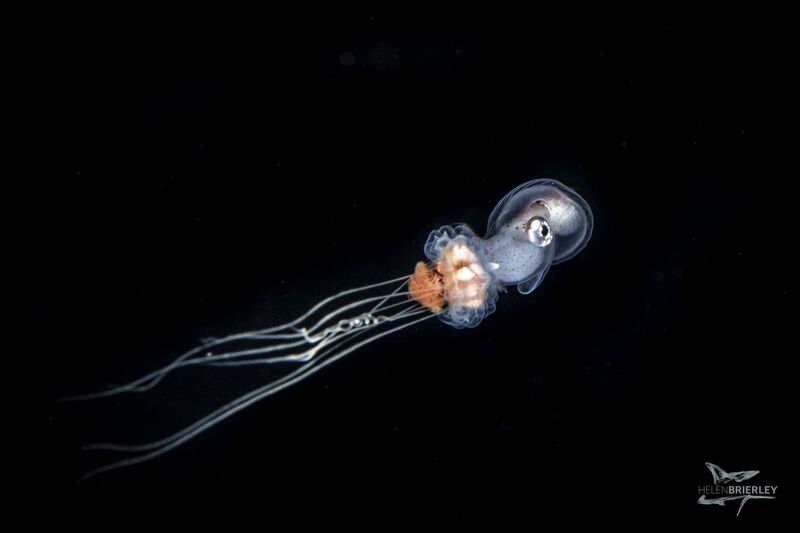 We also will see tons of crinoids, giant barrel sponges, mantis shrimp, garden eels, gobies, shrimps, crabs, seahorses, pipefish, several octopus species, and every kind of fish imaginable. 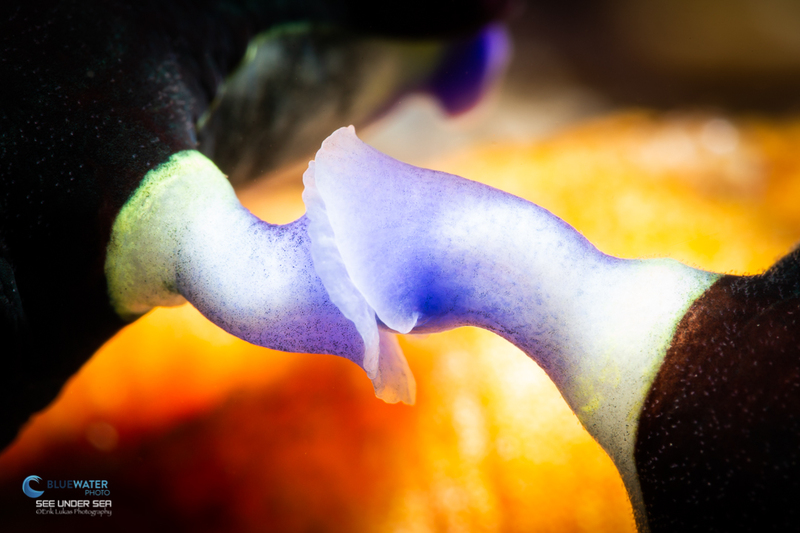 Our group collectively will probably also find over 100 nudibranch species. There are calm sites, and sites with currents and pelagics. Muck and lush coral sites. 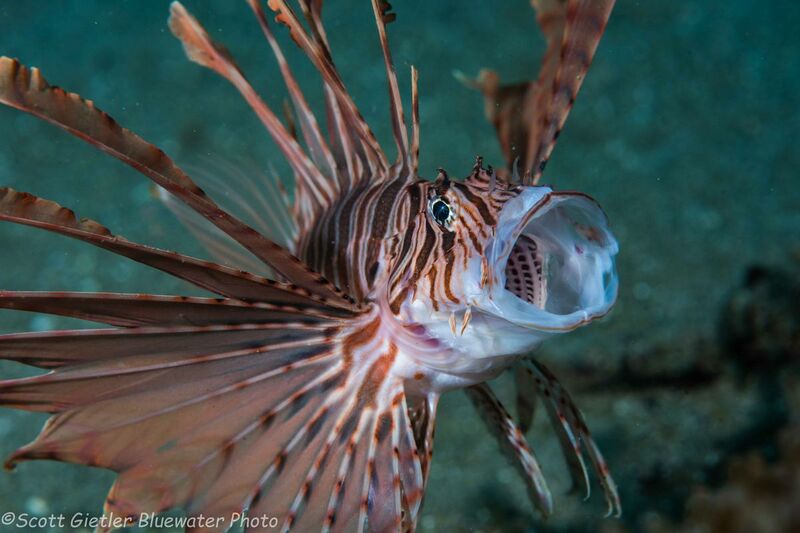 Bluewater Photo will show you where to take that perfect wide-angle, macro or critter behavior shot. Day one of the trip will include two dives in the afternoon. It is recommended that you arrive either the day before and spend the night at an airport hotel, or arrive before 10am on the morning of the first day. There are no refunds for missed dives if you arrive late! 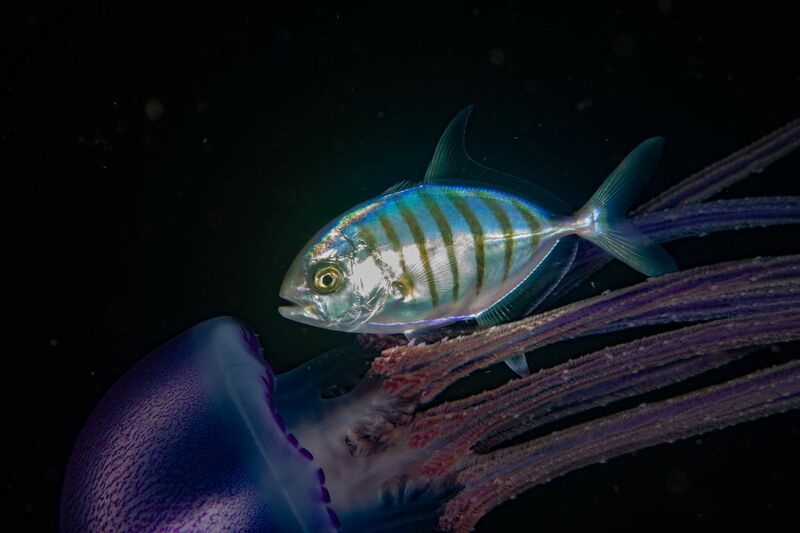 Each subsequent day of the trip includes four dives consisting of two in the morning and two in the afternoon (one of which is a daily night dive). 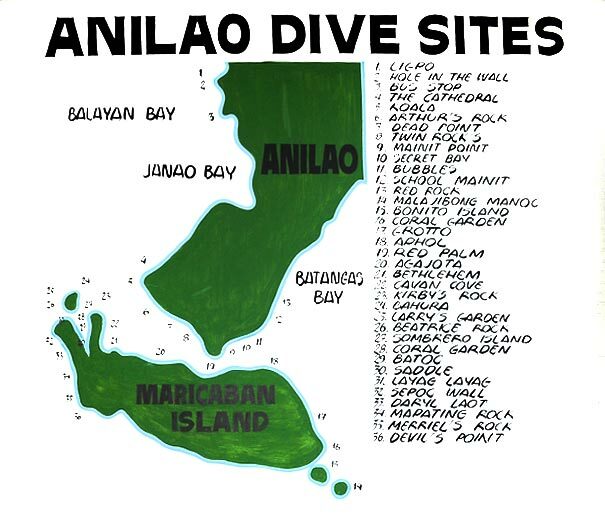 There will be no afternoon dives on the 7th day (December 12). This time is reserved for a photo contest and group dinner before you depart the next day (if you don't book the 10-night extension). 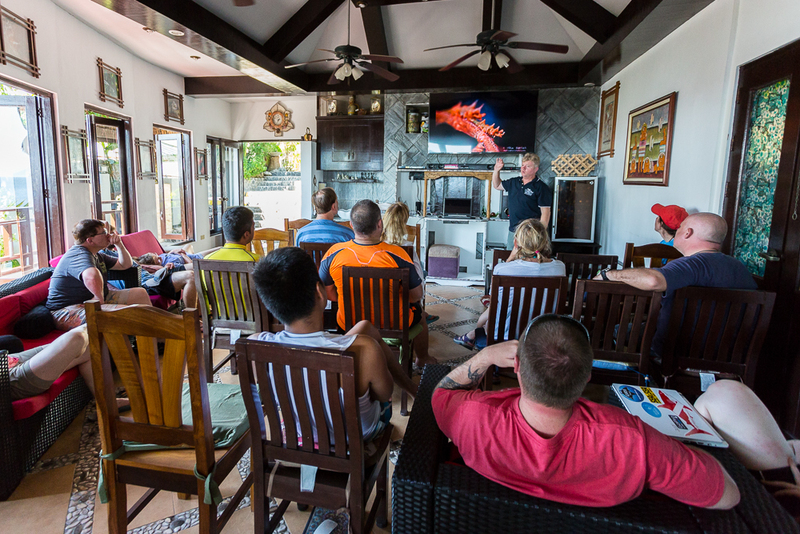 There will be underwater photo seminars and image reviews in the mornings, afternoons, and evenings. Mike Bartick teaching some photo pointers during our 2015 workshops! 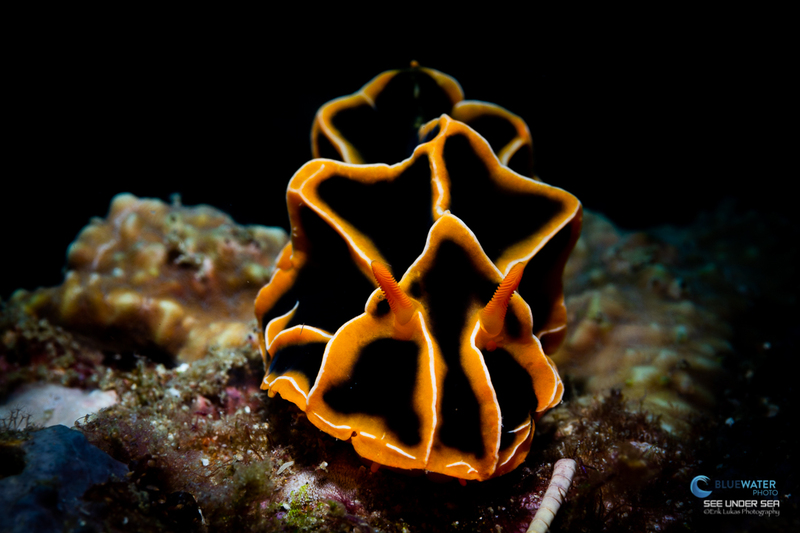 See more photos from Anilao at the Anilao 2011 shootout page and on our guide to diving Anilao. 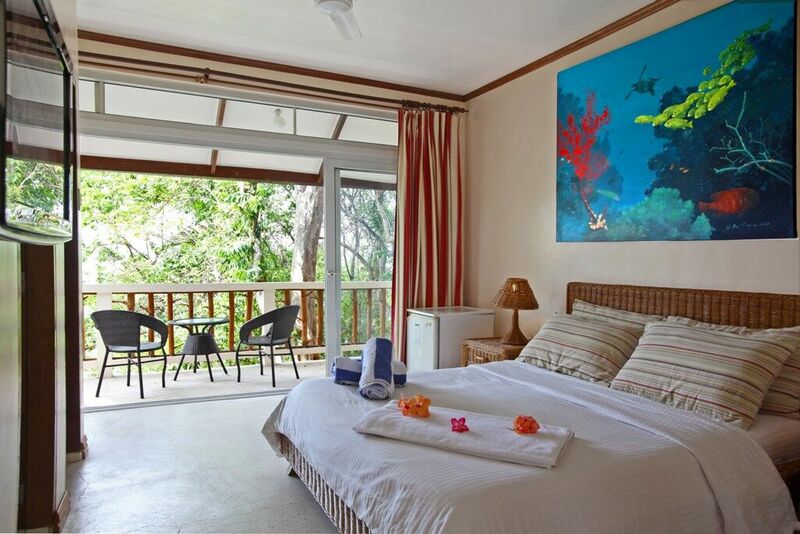 Above are the rooms at Crystal Blue Resort, near Anilao's best dive sites. 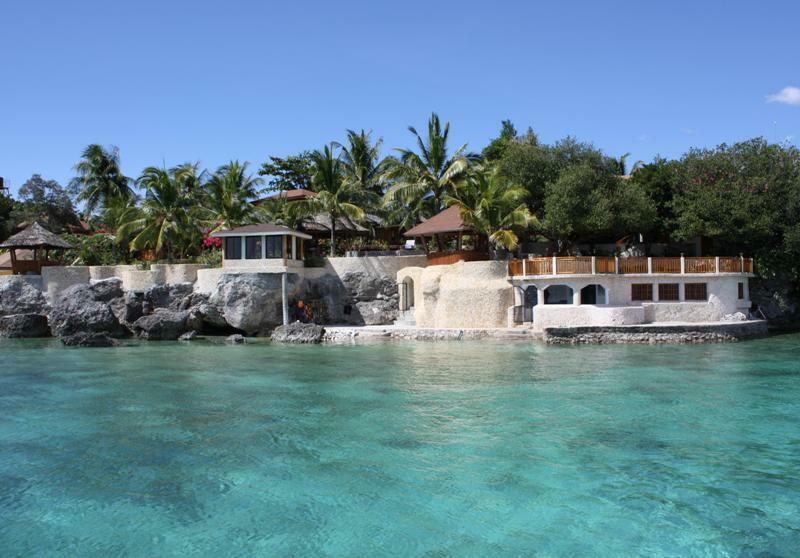 The resort has a bar, restaurant, spa, jacuzzi, awesome food, and great rooms - along with a great dive center that pumps Nitrox! 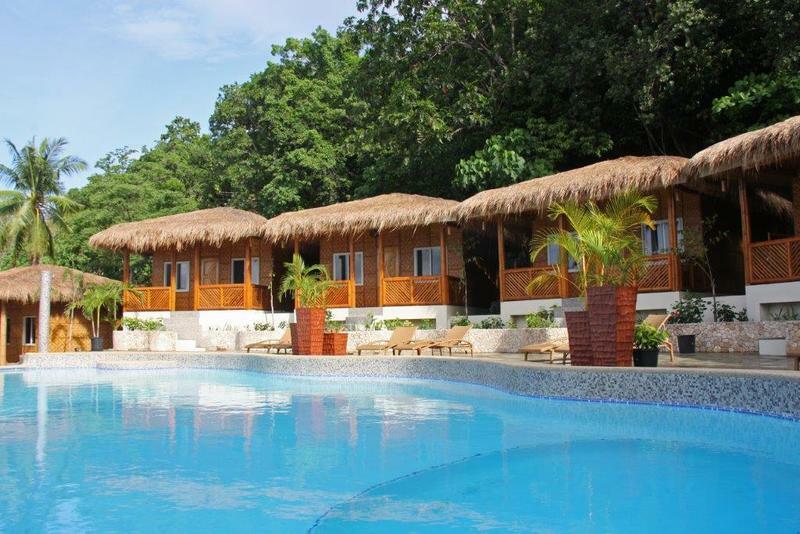 Read the great reviews on Crystal Blue Resort here. Alternatively, you can arrive at the Manila airport (code: MNL) the morning of first day of the workshop before 10am and the shuttle will pick you up directly from the airport. Everyone will leave in the morning of the last day (approx 8:00 am) and be transferred back to the airport. Booking an afternoon/evening flight would be advised.